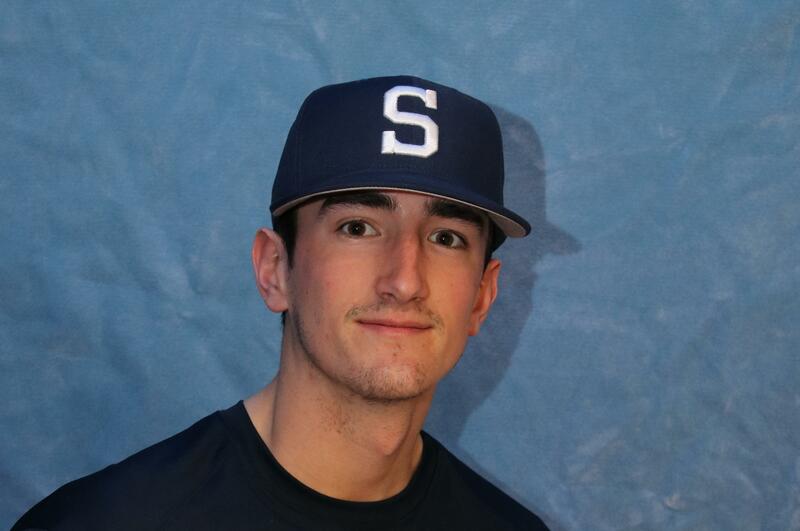 Community Colleges of Spokane reliever Reed Harrington was put in a precarious situation Wednesday, one in which the hard-throwing right-hander gets a thrill. With one out, the bases loaded and CCS tied with Blue Mountain in the sixth inning, the sophomore from Eagle, Idaho, was summoned from the bullpen to get the Sasquatch (16-10, 7-3 NWAC East Region) out of a jam. Harrington fanned the first batter and retired the second. He went on to pitch the final three innings in CCS’ 8-4 road win, striking out five without yielding a hit. Business as usual for the Northwest Athletic Conference’s leader in saves (four), though he registered a win on Wednesday. In seven appearances and a combined 10 innings, Harrington has struck out 17 and hasn’t allowed an earned run. He’s surrendered three hits and walked three. Last season, Harrington struck out 28 in 34 innings, posted a 1.32 ERA and was a first-team All-East Region relief pitcher. He ranked No. 2 in the NWAC in saves (10). But it wasn’t until the annual NWAC All-Star Sophomore Showcase last fall that Harrington – a Boise State commit – started to generate Division I interest. In front of a throng of big-college coaches and professional scouts, Harrington was given two innings to show what he could do. His fastball clocked in at 91 mph, he said, and he didn’t give up a hit. Boise State, led by former Gonzaga assistant Gary Van Tol, begins its inaugural season in the spring of 2020. Van Tol’s new program will feature a number of former area standouts, including pitcher Stu Flesland (Mt. Spokane) and outfielders Michael Hicks and Jayce Bailey , both from Coeur d’Alene. Harrington will also play at Boise State alongside his best friend and current roommate, CCS outfielder and hits leader (27) Christian Padilla. The two Eagle High graduates came to Spokane together. CCS is in a four-way tie for first place in the East. A freshman All-American last season, Gonzaga infielder Ernie Yake has had dozens of quality at-bats in his young college career. And he rarely strikes out. Yake ranks No. 1 in NCAA Division I baseball in the “toughest to strike out” category this season. In 111 at-bats, Yake, who is batting .288, has struck out four times. Gonzaga (14-14, 7-5 West Coast Conference) travels to Portland this weekend for three-game series with the Pilots (20-14, 2-10). The Bulldogs face Oregon at home on Monday. Washington State has dropped its first nine Pac-12 games this season, its worst start in conference play since 2005. The Cougars (7-23, 0-9) hope to stop the bleeding this weekend. Oregon (19-12, 5-4) visits in a three-game series that begins Friday at Bailey-Brayton Field. The Cougars last had a winning season in conference play in 2010 when they advanced to the NCAA Tournament. Whitworth shortstop Nicholas Nerud was recently named the Northwest Conference’s Athlete of the Week. Nerud led the NWC-leading Pirates to a home sweep of Puget Sound last weekend, going a combined 9 for 14 at the plate with six RBIs and four runs. Whitworth (17-11, 14-4 NWC) travels to Lewis & Clark (9-22, 4-14) on Saturday for a three-game series. Published: April 11, 2019, 6:54 p.m. Updated: April 11, 2019, 9:07 p.m.